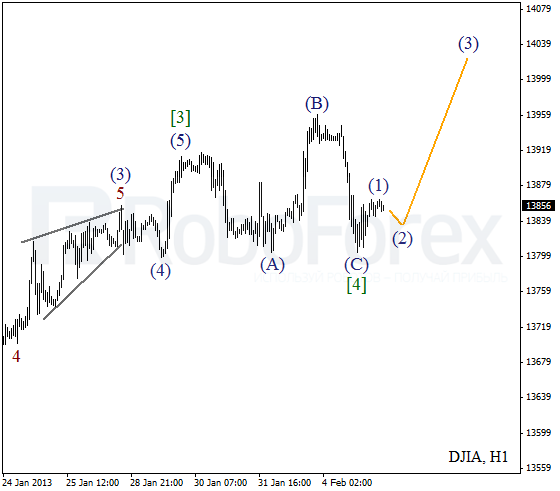 It looks like the Index continues forming the fourth wave; the price may start a new ascending movement during the day. 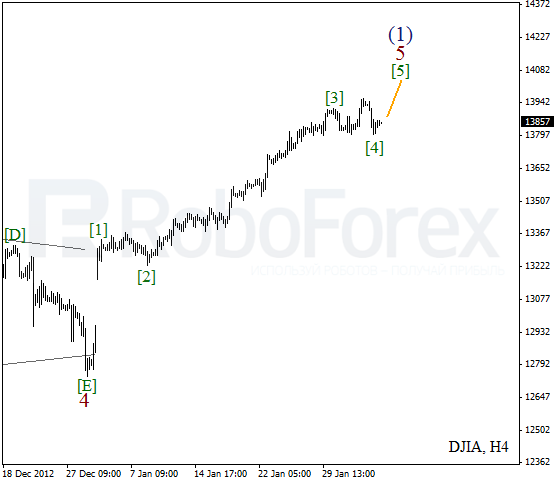 Later, the bulls are expected to make one more attempt to keep the price above the level of 14000. 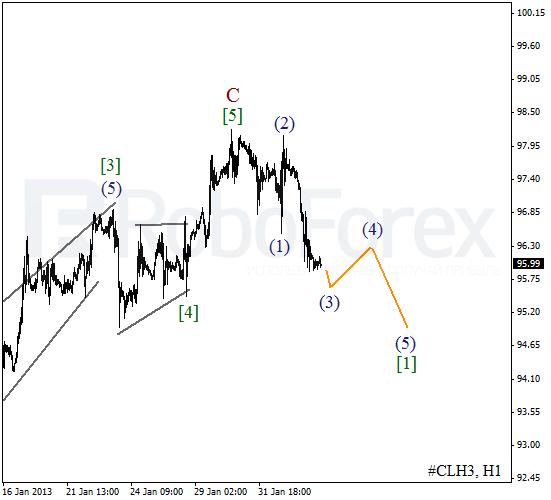 As we can see at the H1 chart, wave  is taking the form of flat pattern. 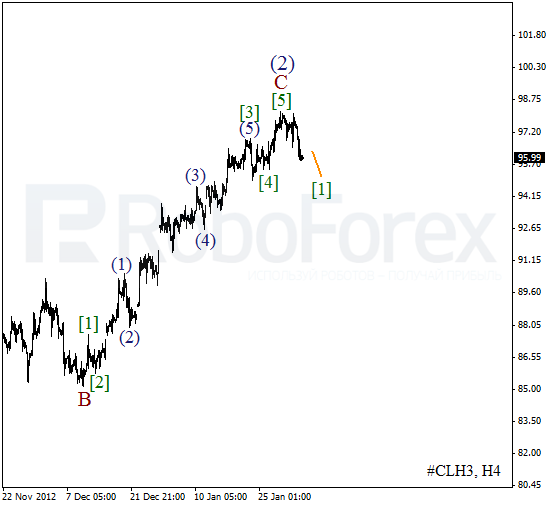 On the minor wave level the Index formed initial ascending impulse. After a local correction the instrument is expected to continue growing up inside the third wave. After making a strong descending movement, the bears are dominant again. It looks like an impulse inside wave C has been already completed and right now Oil is forming an initial descending impulse. In the nearest future, the price may continue forming wave . As we can see at the H1 chart, the price is forming the third wave. We can’t exclude a possibility that Oil may start the fourth wave during Tuesday. Later, I think the bears may reach a new local minimum again.